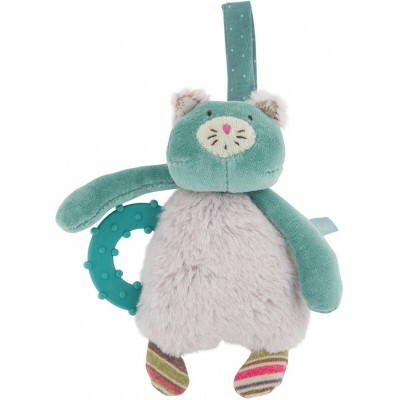 Find Gros Chacha from the collection Les Pachats in reduced size 16 cm. Smooth, it has a teether ring that your baby can chew as much as he/she wants. Its soft little body will surely please the little ones!